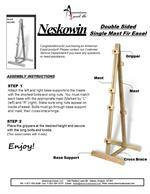 Double sided easel, Great for galleries! 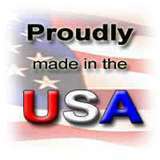 Stands 70" tall, with a base depth of 26" and width of 28". 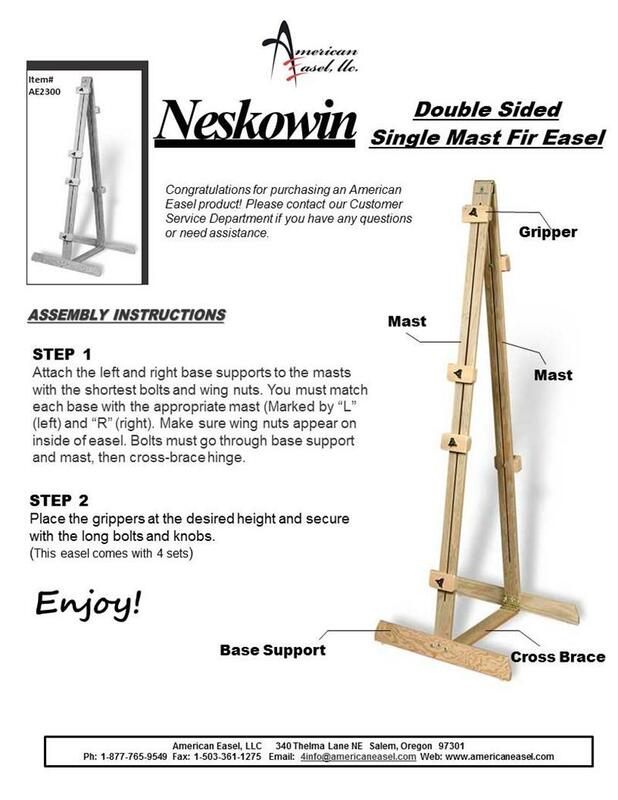 This easel will hold two canvases up to 52" virtically, but with the two additional gripper sets included, this easel will easily hold four canvases each 24" vertically. Equipped with four sets of canvas holders, easy turn knobs and non-skid rubber feet. Assembly required. Weight 15 lbs~ Carton Dimentions 71"x 6" x 4"